While we don’t know why some people don’t recover from an acute episode of pain, we do know that it’s not because their injury was worse in the first place. We also know that it’s not because they have a personality problem. Finally, we do know that, on the whole, treatments for chronic pain are not particularly successful. This sobering reality draws up some interesting reflections on pain itself. What is pain? Is it simply a symptom of tissue damage or is it something more complex? One way to approach this second question is to determine whether it’s possible to have one without the other – tissue damage without pain or pain without tissue damage. 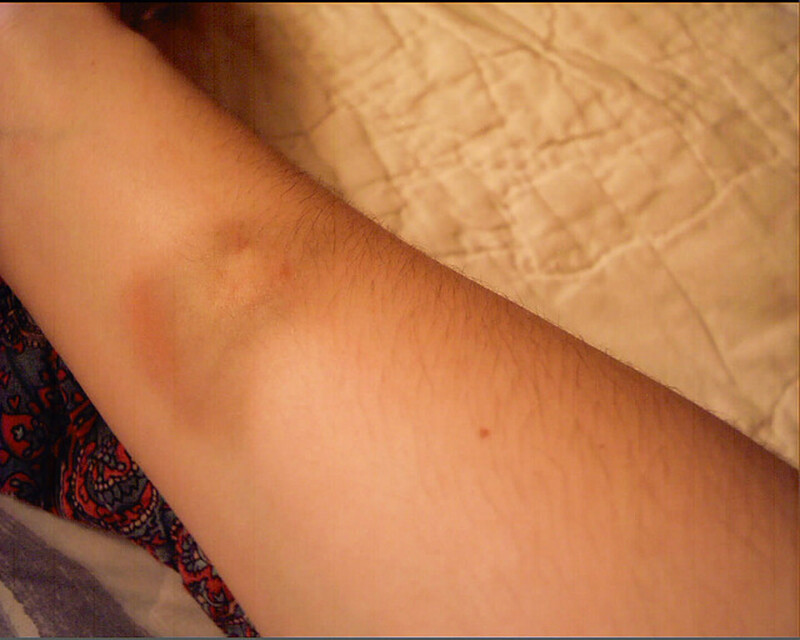 And you can answer that one yourself – ever noticed a bruise that you have absolutely no recollection of getting? If you answered yes, then you have sustained tissue damage without pain. Ever taken a shower at the end of a long day in the sun and found the normally pleasantly warm water, painfully hot? That’s not the shower injuring you - it’s just activating sensitised receptors in your skin. Such questions and their answers are of great interest to pain scientists because they remind us that pain is not simply a measure of tissue damage. The International Association for the Study of Pain defines pain as an experience. Pain is usually triggered by messages that are sent from the tissues of the body when those tissues are presented with something potentially dangerous. The neurones that carry those messages are called nociceptors, or danger receptors. We call the system that detects and transmits noxious events “nociception”. Critically, nociception is neither sufficient nor necessary for pain. But most of the time, pain is associated with some nociception. The exact amount or type of pain depends on many things. One way to understand this is to consider that once a danger message arrives at the brain, it has to answer a very important question: “How dangerous is this really?” In order to respond, the brain draws on every piece of credible information – previous exposure, cultural influences, knowledge, other sensory cues – the list is endless. How might all these things modulate pain? The favourite theory among pain scientists relies on the complexity of the human brain. We can think about pain as a conscious experience that emerges in response to activity in a particular network of brain cells that are spread across the brain. We can call the network a “neurotag” and we can call the brain cells that make up the neurotag “member brain cells”. Each of the member brain cells in the pain neurotag are also member brain cells of other neurotags. If we have the phrase “slipped disc” in our brain for instance, it has to be held by a network of brain cells (we can call this the “slipped disc” neurotag). And it’s highly likely that there are some brain cells that are members of both the slipped disc neurotag and the back pain neurotag. This means that if we activate the slipped disc neurotag, we slightly increase the likelihood of activating the back pain neurotag. Using this model, thinking that we have a slipped disc has the potential to increase back pain. But what if this piece of knowledge we have stored is inaccurate, just like our notion of a slipped disc? A disc is so firmly attached to its vertebrae that it can never, ever slip. Despite this, we have the language, and the pictures to go with it, and both strongly suggest it can. 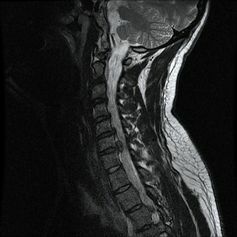 When the brain is using this inaccurate information to evaluate how much danger one’s back is in, we can predict with confidence that, if all other things were equal, thinking you have a slipped disc and picturing one of those horrible clinical models of a slipped disc will increase your back pain. This is where our understanding of pain itself becomes part of a vicious cycle. 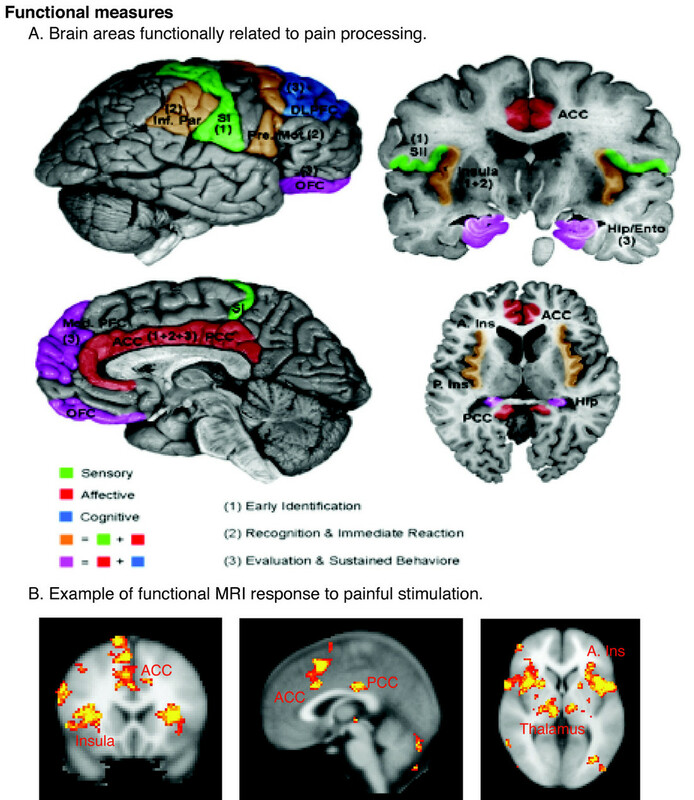 We know that as pain persists the nociception system becomes more sensitive. What this means is that the spinal cord sends danger messages to the brain at a rate that overestimates the true danger level. 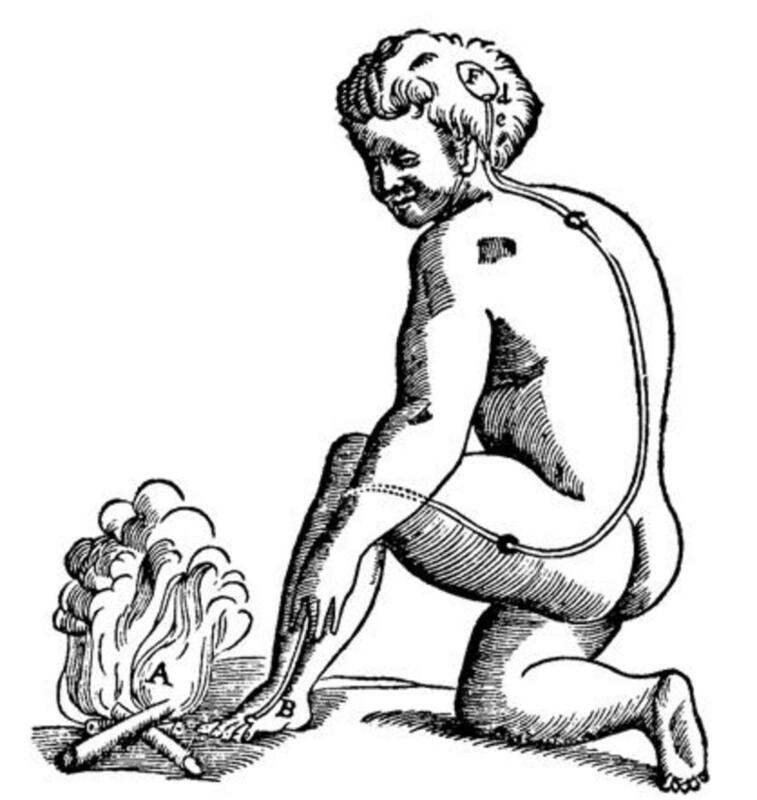 This is a normal adaption to persistent firing of spinal nociceptors. Because pain is (wrongly) interpreted to be a measure of tissue damage, the brain has no option but to presume that the tissues are becoming more damaged. So when pain persists, we automatically assume that tissue damage persists. On the basis of what we now know about the changing nervous system, this presumption is often wrong. The piece of knowledge that’s turning up the pain neurotag is actually being reinforced by itself! I think it goes like this: “more pain = more damage = more danger = more pain” and so on and so forth. The idea that an inaccurate understanding of chronic pain increases chronic pain begs the question - what happens if we correct that inaccurate piece of knowledge? (iv) Long-term outcomes of activity-based treatments are vast improvements. There’s compelling evidence that reconceptualising pain according to its underlying biology is a good thing to do. But it’s not easy. Our research group is continually looking for better ways of doing this, and we’re not the only ones. The idea of explaining pain has taken off in pain management programs and outpatients departments the world over. What we know about how pain works is not just relevant to how we teach it to patients, we need to base our clinical decisions on it. This means abandoning Rene Descartes famous model of 1654. 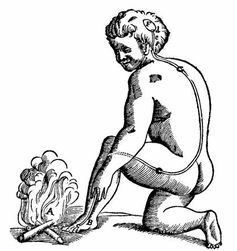 His drawing depicts a man with his foot in the fire and a “pain receptor” activating an hydraulic system that rings a bell in his head. Of course no one believes we have hydraulics making this happen, but the idea of an electrical circuit turning on the pain centre is still at the heart of many clinical practices across professional and geographic boundaries. The type of thinking captured in Descartes' model has led to some amazing advances in clinical medicine. But the evidence against it is now almost as compelling as that against the world being flat. Of course, those sailors who never leave the harbour might hang on to the idea of a flat world. And, in the same way, there are probably clinicians who hang on to the idea of pain equalling tissue damage. I suspect they either don’t see complex or chronic pain patients, or, when they do, they presume that those patients are somehow faulty or psychologically fragile, or, tragically, are lying. Perhaps they can continue to practice without ever leaving the harbour. The problems I want to solve clearly exist on the open seas.